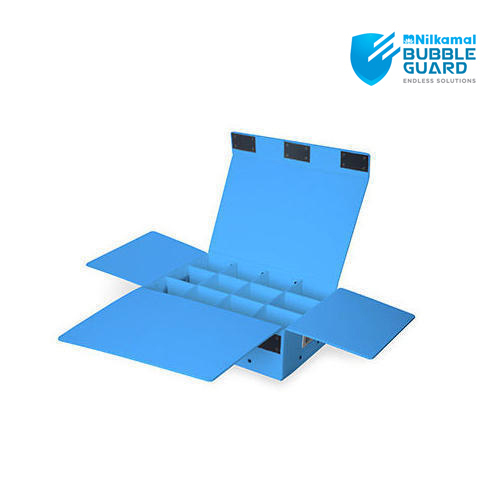 PP Packaging Box – Flexible and strong boards for industrial packagingFlexible, lightweight and safe to handle. Can be folded multiple times, reusable. For movement of light weight but voluminous products. Flexible, lightweight and safe to handle. Can be folded multiple times, reusable. For movement of light weight but voluminous products. Nilkamal BubbleGUARD is a range of multi-layered PP boards with a unique circular honeycomb structure made with a patented European technology.